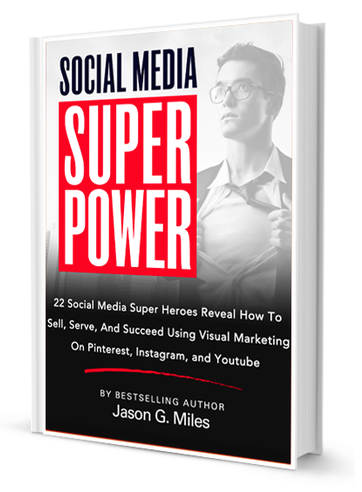 If you read my blog daily you might recall my post about using 4 modalities on Pinterest. 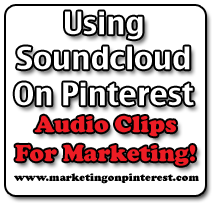 Let me do a deeper dive into one of them today – Using Soundcloud audio clips to market your business on Pinterest. The steps involved are pretty straightforward, but like anything, it is a bit confusing at first. Step One: Set up a Soundcloud.com account. Step Two: Upload an MP3 file of your choosing. This is where you obviously need to put your marketing hat on! 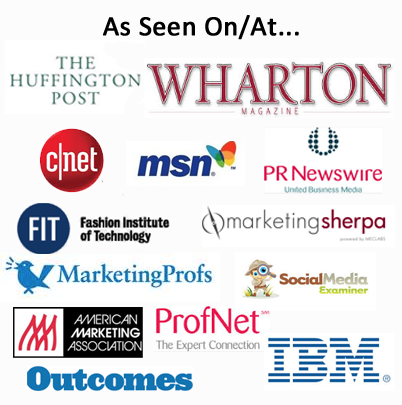 What would appeal to your niche? 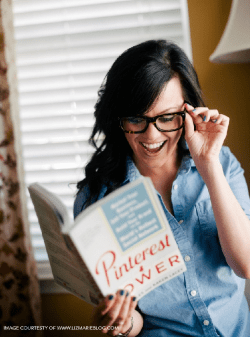 In my case, I’m using a webinar I did about Pinterest Marketing. 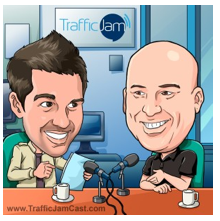 Step Three: Upload an image for your audio clip. 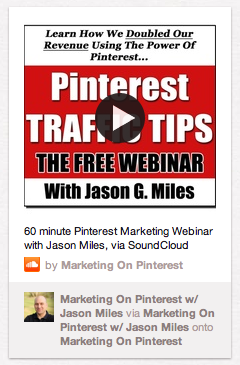 I made my ‘Pinterest Traffic Tip’ in Photoshop Elements, then saved it as a PNG file, then added it to Soundcloud for my audio clip. Once you click the pin it button, you’ll get the ‘normal’ display screen where you can pin the item. Now the item will play directly in Pinterest. 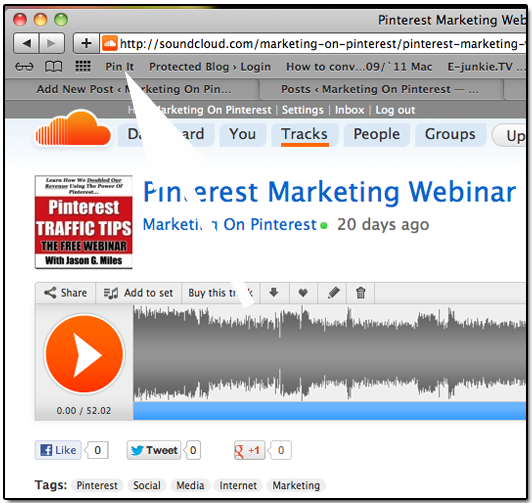 You can see my example of using soundcloud in Pinterest here. Just uploaded an Animoto video and now realize that this doesn’t show visuals. Dang!